Dorothy Wessling records, Dorothy Wessling to Lew Griffin. Maggie Mae Culpepper and John Travis Lowe are the parents of Dolores La Wan Lowe, Female, born __ 1932, Empress Gale Lowe, Female, born __ 1933, Gloria Louise Lowe, Female, born __ 1935, John Travis Lowe Jr., Male, born __ 1937, David Powell Lowe, Male, born __ 1938, Jimmie Lee Lowe, Male, born __ 1940, Clinton Wade Lowe, Male, born __ 1942, Alice Marie Lowe, Female, born __ 1944, Addie Lorene Lowe, Female, born __ 1946, and Sherry Darlene Lowe, Female, born __ 1949, all in Refugio Co., Texas. E-mail written Jan 2014 to Warren Culpepper from Sandy Patton, e-mail address. Jas Culpepper is the father of an otherwise unidentified infant born 16 Oct 1904 in Tarrant Co., Texas. Maggie May Culpeper and John Travis Lowe are the parents of Mary Earline Lowe, Female, born __ 1927, and Josie Fredeana Lowe, Female, born __ 1929, both in Wharton Co., Texas. 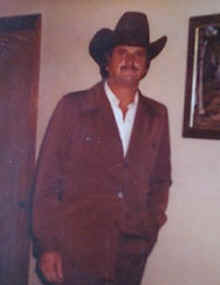 David Rowell Culpepper Sr, Male, died 21 Oct 1992 in Nueces Co., TX. David Rowell Culpepper Jr., Male, born __ 1941 in Nueces Co., Texas, child of David Rowell Culpepper and Nellie Caroline Matthews. Zula Marie Culpepper, Female, born __ 1944 in Matagorda Co., Texas, child of David Rowell Culpepper and Nellie Caroline Matthews. Donald Kent Culpepper, Male, born __ 1946 in Refugio Co., Texas, child of David Rowell Culpepper and Caroline Nellie Matthew. Wanda Lou Culpepper, Female, born __ 1954 in Nueces Co., Texas, child of David Rowell Culpepper and Nellie Caroline Matthews. Nancy E Culpepper, Female, died 12 Dec 1977 in Callahan Co., TX. Jimmie Cecil Culpepper, Male, died 18 Jun 1985 in Atascosa Co., TX. Jim C Culpepper, White, born 1913 in Oklahoma; Resides in Refugio Co., TX; Enlisted 8 Oct 1942 at San Antonio, TX in the Air Corps as a Private; Education: Grammar school; Occupation: Student, Married; Height: 72 in., Weight: 167. Minnie Angela Culpepper, Female, born __ 1946 in Wilson Co., Texas, child of Jim Cecil Culpepper and Minnie Lee Buckner. Doyle Cecil Culpepper, Male, born __ 1950 in Wilson Co., Texas, child of Jim Cecil Culpepper and Minnie Lee Buckner. Virgil Wayne Culpepper, Male, born __ 1952 in Wilson Co., Texas, child of Jim Cecil Culpepper and Minnie Lee Buckner. E-mail written 1999 to Lew Griffin from Dawn Harris. TIVOLI - Leland Landry Culpepper, 78, of Tivoli, died Monday, July 4, 2005. He was born Oct. 4, 1926, in Wharton, to the late Jimmy Nathaniel and Nancy Emmaline Culpepper. He was a veteran of the Korean War, serving with the U.S. Army, and a life member of VFW Post 6290. Survivors: wife, Leara Jean "Beicker" Culpepper; daughters, Carol Payton of Tivoli, Linda O'Riley of College Station, and Becky Espinosa of Woodsboro; sons, Larry Culpepper of Victoria, Jimmie Culpepper of Refugio, Theodore Culpepper of Tivoli, and Gene E. Culpepper of Dilley; sister, Addie "Teen" Culpepper Whitter of Cornwell, Pa; 22 grandchildren; 35 great-grandchildren; and 1 great-great-grandchild. Leland L Culpepper, White, born 1926 in Texas; Resides in Karnes Co., TX; Enlisted 14 Mar 1945 at Fort Sam Houston, TX in the (Unk Branch) as a Private; Education: Grammar school; Occupation: Geographer, Single; Height: 60 in., Weight: unk. + Leland L Culpepper, CPL US ARMY WORLD WAR II, 4 Oct 1926 - 4 Jul 2005. Jimmie Landry Culpepper, Male, born __ 1948 in Wilson Co., Texas, child of Leland Culpepper and Leara Beicker. Larry Leon Culpepper, Male, born __ 1948 in Wilson Co., Texas, child of Leland Culpepper and Lera Jean Beicker. Theodore Allen Culpepper, Male, born __ 1950 in Wilson Co., Texas, child of Leland L Culpepper and Lara Jean Biecker. Carol Lee Culpepper, Female, born __ 1951 in Wilson Co., Texas, child of Leland L Culpepper and Leora Jean Beicker. Linda Fay Culpepper, Female, born __ 1952 in Wilson Co., Texas, child of Leland Landry Culpepper and Leara Jean Beicker. Gene Edward Culpepper, Male, born __ 1959 in Refugio Co., Texas, child of Leland Landry Culpepper and Leara Jean Beicker. Rebecca Darlene Culpepper, Female, born __ 1961 in Refugio Co., Texas, child of Leland Landry Culpepper and Lara Jean Beicker. Lelia Lillian Culpepper, Female, born 4 Oct 1926 in Wharton Co., Texas, child of Jimmie Nathanie Culpepper and Nancy Emmaline Tucker. E-mail written 2001-2009 to Culpepper Connections from Ruby Sue Culpepper Marshall (#2113), 6300 Cliffside Drive, Fort Worth, TX 76134, Phone 817-293-4916, e-mail address. ED 17, Sheet 16B, Pct 2, Ellis Co., TX. Melborn O. Brooks , Step-grandson, M, Wh, 4/12, sng, TX/TX/AL. Eleanor L. Culpepper, 1 Jul 1915 - 18 Aug 1993, Served 23 Aug 1943 to 5 Sep 1945 as Sergeant in the US Marine Corps, Interred 20 Aug 1993 in Willamette National Cemetery, Section D, Site 603. C H Culpepper is the father of an otherwise unidentified infant born 20 Feb 1922 in Tarrant Co., Texas. Rubie Culpeper, Kaufman Co., Aug 2 1932, 35289 (This death record was tentatively matched to Ruby Jane Blackman Culpepper by her granddaughter, Ruby Sue Culpepper Marshall). Ollie Grace Culpepper, Female, born 14 Sep 1926 in Tarrant Co., Texas, child of Charlie Culpepper and Ruby Blackburn. Eveleaner and Isaac were married on May 23, 1925 at Piney Grove by Bro. Manis. 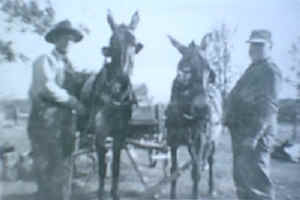 Lillian Martin and Oscar Martin were witnesses. Lonnie B. Culpepper, Son, M, 6/12, S, TX AL TX. Robert L. Culpepper, Son, M, 1/12, S, TX AL TX. Lillian Bridges, Wife, 22, F, 22, md@22, TX/TX/TX. Lillian Culpepper and T A Bridges are the parents of Herbert Ray Bridges, Male, born __ 1940 in Upshur Co., Texas. Fred D Culpepper, White, born 1913 in Texas; Resides in Camp Co., TX; Enlisted 21 Oct 1942 at Tyler, TX in the (Unk Branch) as a Private; Education: Grammar school; Occupation: Geographer, Married; Height: 69 in., Weight: 149. + Fred D Culpepper, US ARMY, 19 Mar 1913 - 20 Nov 1995. Fred Dee Culpepper, M, 39, and Iva Moore, F, 39, married 18 Jul 1952 in Harris Co., TX. Dee Bee Culpepper, Male, born __ 1953 in Polk Co., Texas, child of Fred Dee Culpepper and Ina Moore. Mannie Leola Culpepper and James Robert Vaughn are the parents of Larry Lee Vaughn, Male, born__ 1956 in Camp Co., Texas. B B Culpeper is the father of an otherwise unidentified infant born 24 Nov 1919 in Upshur Co., Texas. E-mail written Jun 2005 to Warren Culpepper from Brenda Carolyn Culpepper Davison, e-mail address. Robert L Culpepper, 54, and Eddie R Culpepper, 47, divorced on 10 Dec 1973 in Harris Co., TX (Married: 31 Aug 1941, Number of Children: 3). Robert L Culpepper, White, born 1919 in Texas; Resides in Wood Co., TX; Enlisted 14 Mar 1942 at Camp Wolters, TX in the US Army as a Private; Education: 1 year of high school; Occupation: Automobile Serviceman, Married; Height: 68 in., Weight: 147. Robert L Culpepper, 56, married Eddie R Duke, 49, on 24 Nov 1975 in Brazoria Co., TX. E-mail written 2007-2011 to Warren Culpepper from Cheryl Culpepper Logan (#52517), Anderson, IN, e-mail address (Oct 2011). Mon 04/16/2007, Section B, 3 Star Edition. Cheryl Juanice Culpepper, Female, born __ 1962 in Harris Co., Texas, child of Robert Louis Culpepper and Eddie Ruth Duke. E-mail written 1999 to Culpepper Connections from Michael Lane Culpepper (#36322), e-mail address (Nov 2009). Vernon G Culpepper, 34, and Julia A Culpepper, 30, divorced on 10 Sep 1971 in Wood Co., Texas. Original Marriage Date: 4 Aug 1956. Number of Children: 4. Richard Glenn Culpepper, Male, born 6 Nov 1958 in Dallas Co., Texas, child of Vernon Gene Culpepper and Julia Ann Rolison. Richard G Culpepper, Male, died 19 Feb 1976 in Smith Co., TX. Vernon Gene Culpepper, Male, died 31 Jul 1984 in Navarro Co., TX. Johnny Lyn Culpepper, Male, born __ 1961 in Dallas Co., Texas, child of Vernon Culpepper and Julia Ann Rolison. David Gene Culpepper, Male, born__ 1964 in Upshur Co., Texas, child of Vernon Gene Culpepper and Julia Ann Rolison. Michael Lane Culpepper, Male, born __ 1970 in Wood Co., Texas, child of Vernon Gene Culpepper and Julia Ann Rolison. E-mail written 1998-2011 to Culpepper Connections from Mark Wendell Culpepper (#2053), Columbus, GA, e-mail address. Daniel Culpepper, Son, Wh, M, Aug 1899, 10/12, sng, AL/GA/GA. "J. G. Culpepper married Susan Green Davis on 9 Sep 1898 in Covington Co., AL, page 117." Alvie E. Webb, Nephew, M, Wh, 14, sng, AL/GA/GA, Farm hand. Charlie Culpepper, Prisoner, M, 29, M, md @ 27, AL/AL/AL. Daniel Culpepper, Son, M, 4/12, S, GA/AL/GA. Obituary of Charlie Wendell Culpepper (#2051), published 4 Sep 2008 in the Columbus Ledger-Enquirer. Charlie W. Culpepper, d. 16 Oct 1974 at 73 years in Muscogee Co., GA; Res. in Muscogee Co., GA.
Obituary* 5 Feb 1948� Funeral services for Mrs. Lemma WEBB, 76, 1516 Harvey avenue, will be held at 2:30 p. m. Friday at Britton and Dobbs chapel, with the Rev. B. F. HOUSE officiating. Burial will be in Patricks cemetery. Mrs. WEBB, who moved here 45 years ago from Brantley, Ala., died at 9 p. m. Wednesday after an extended illness. Mrs. Lemma WEBB, White female, died 04 Feb 1948, aged 76 years, in Muscogee County, Georgia, as a resident of the same county, cert. #3920. Child Alvin E. WEBB. Mary C. Webb, 14 May 1872 - 4 Feb 1948. Obituary of Mary 'Lemma' Culpepper Webb (#2040), published Thursday, 5 Feb 1948, p.2.